The new LaCrosse Navigator Atlas boots are constructed with a combination of rubber, leather and textile for a secure fit and durability. 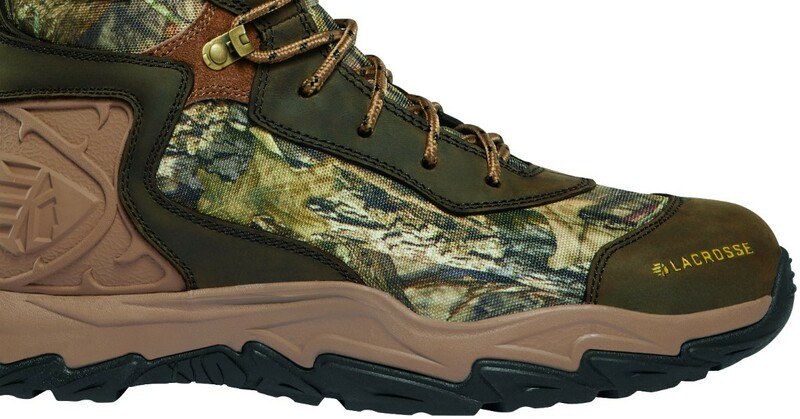 With a sturdy molded-rubber toe cap and a heel outfitted with a DuraFit molded rubber heel cup, the Atlas boots deliver lasting durability and stability on uneven ground. The grip comes from the LaCrosse LXG rubber with optimal traction on wet and dry ground while the InfiniTrac outsole lug design ensures solid footing with increased surface contact. 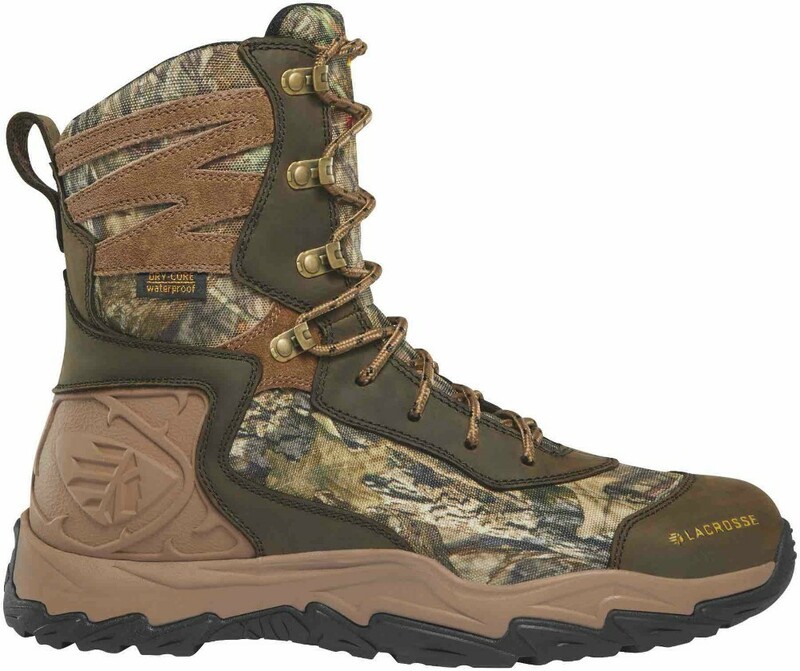 The Atlas boots feature Dry-Core waterproof linings and is available uninsulated or with PrimaLoft Insulation. Like the Atlas boots, the LaCrosse Navigator Windrose boots are fully waterproof, thanks to the Dry-Core lining. The Windrose features a leather/textile construction with a lightweight platform underfoot providing a more athletic feel. The Windrose also features the DuraFit heel cup that wraps the heel in a rubber shell for durability and support. Available with Thinsulate Ultra insulation, the Windrose boots make a good choice for late-season hunts when the mercury drops. 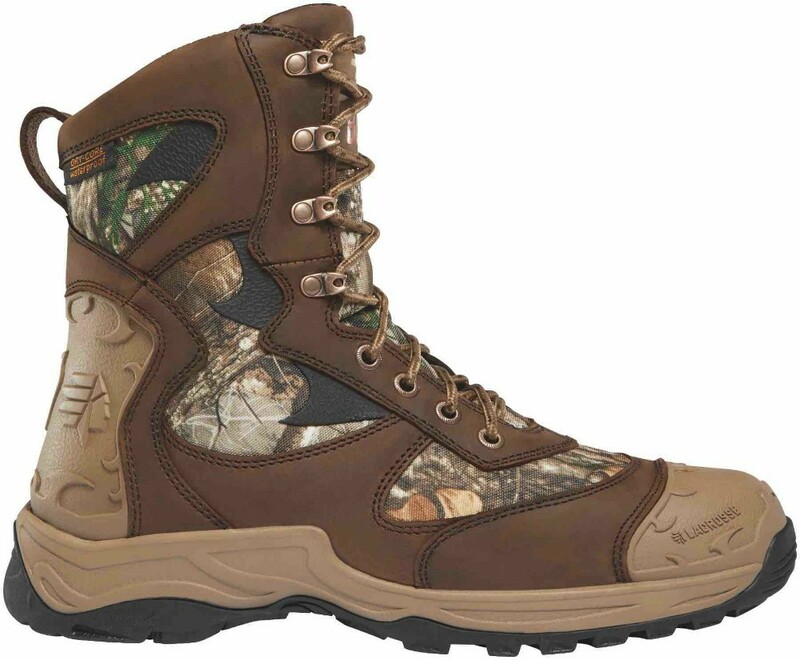 If you prefer a rubber/neoprene boot for hunting or trekking through the woods, the Alpha Agility is a good fit. The Alpha Agility is constructed of hand-laid rubber over 5mm of insulating neoprene with a quick-drying polyester jersey liner. The Active Fit locks the heel in place, while the adjustable back gusset accommodates a variety of calf sizes. Multilayer rubber construction provides added durability and support where it’s needed most, and the specially formulated LXA compound gives athletic shoe-like agility and cushion for all-day use. 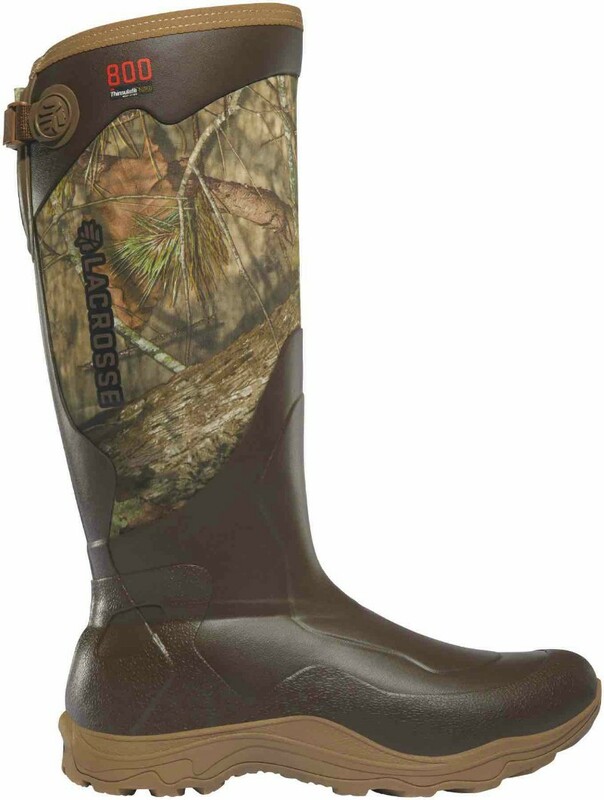 For more information, visit www.lacrossefootwear.com.